On Saturday, the University of Calgary Dinos will play a familiar opponent in the Laval Rouge et Or in the 52nd ArcelorMittal Dofasco Vanier Cup at Tim Hortons Field in Hamilton. The two schools have met twice previously at U Sports national football championship, with both games going Laval’s way. 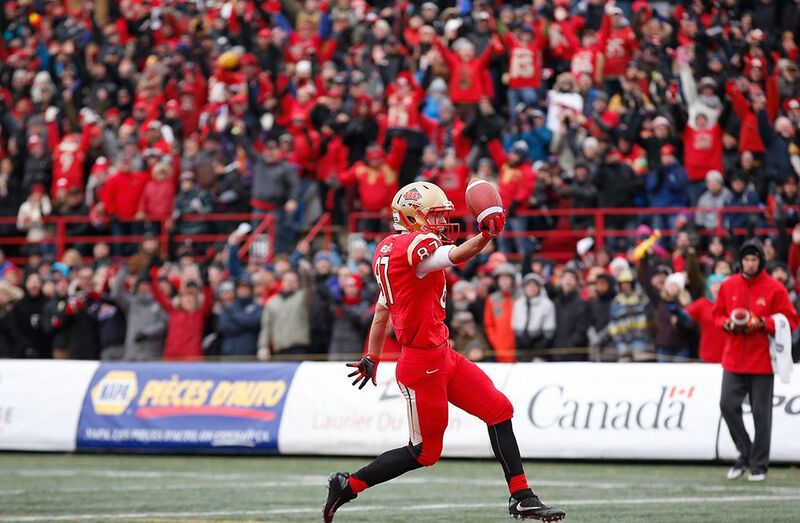 In 2010, the Rouge et Or beat the Dinos 29-2 in Quebec City, followed three years later, by a 25-14 victory. The 2010 and 2013 Vanier Cups were played at TELUS-UL Stadium on Laval’s campus. Current Dinos head coach Wayne Harris Jr. was an assistant coach during the 2010 Vanier Cup while in 2013 he served as the defensive coordinator. The 2010 contest was the first time that had Calgary played Laval in the national championship while in 2013, it was a much closer battle as the Dinos trailed 15-14 after three quarters and ended up giving up ten points in the fourth quarter. Current Calgary Stampeders quarterback and 2015 U Sports BLG Male Athlete of the Year Andrew Buckley was the starting pivot for the Dinos in 2013. Buckley went on to have much success with Dinos, winning back to back Hec Crightons last season as well in 2014. He has fond memories of the 2013 game. The Dinos still have a number of players on their roster from the 2013 contest who will be playing in their second Vanier Cup on Saturday and their final games of their university career. One of those players is fifth-year quarterback, Jimmy Underdahl. Underdahl remembers his first Vanier Cup experience in 2013 as one that was a learning process. After three seasons as Buckley’s backup, Underdahl became the starter this year. 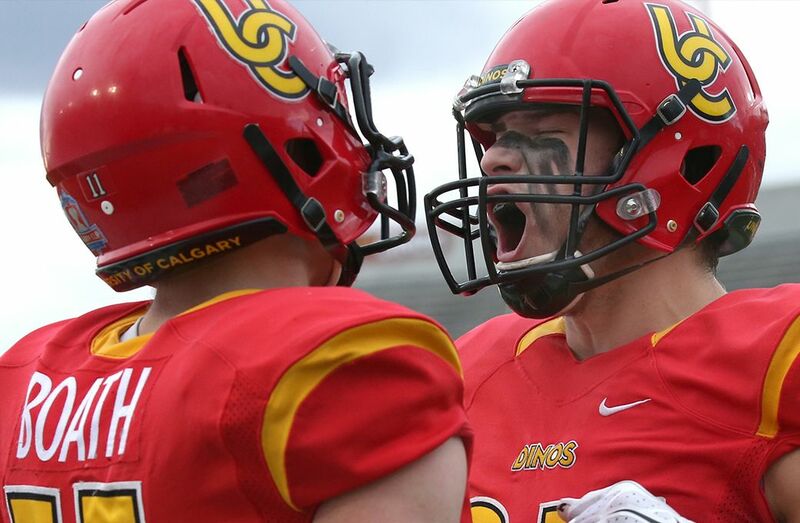 His 2016 season was an eventful one though, as the Calgary native missed the Dinos’ final two regular season games, along with the Canada West semifinal against the Saskatchewan Huskies and the Hardy Cup championship vs. the UBC Thunderbirds due to a knee injury. Last week at the Mitchell Bowl against the StFX X-Men, Underdahl made his return in the second half, throwing 11 for 16 and 217 yards to go along with two touchdowns and one interception. Saturday’s Vanier Cup will be the Dinos’ fourth appearance in the last seven years, with their most recent victory coming in 1995 when they beat the Western Mustangs. After suffering defeat to the Rouge et Or three years ago, Underdahl is hoping to get his redemption.